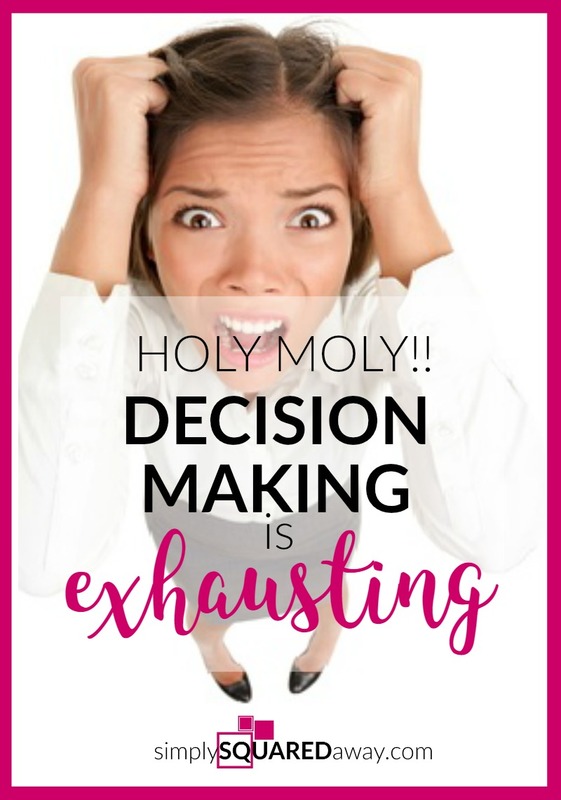 While organizing with clients I’ve seen how making decisions causes stress. According to the internet, adults make 35,000 decisions a day. Is that even possible? 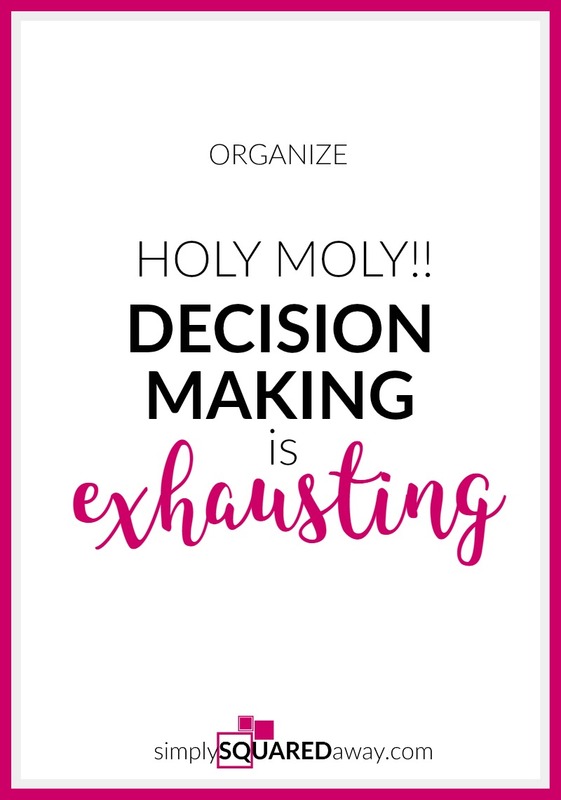 That brings up the question: How can we reduce the number of decisions we make in order to reduce our stress and get organized? I walked in to Quik Trip today to buy some gift cards. Since I was there I decided to treat myself to a drink. For those of you unfamiliar with Quik Trip, it is the best gas station/convenience store ever! Everyone I know loves QT. QT’s all have the same layout. They’re clean and the staff is always fast, professional and friendly. They have over 700 stores in 11 states. In the past I would walk to the fountain drink area and decide between the sweet or unsweetened freshly brewed tea. I like to get the unsweetened but I like to add a tiny bit of flavor. I only remember having two options – green tea mango or black tea raspberry. I always chose the green tea mango because green tea is better for me (or so I’m told). This fountain drink area was JUST for tea and flavors of teas. Count them. 20 options for me to choose from! It took me forever to make a DECISION. 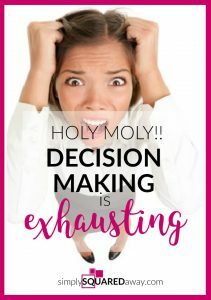 Having fewer decisions to make will save you a lot of TIME. It will also save you a lot of STRESS. 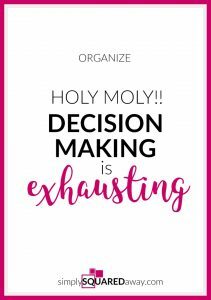 I want to share how you can save time while organizing by creating fewer decisions. Some links I’ve included may be affiliate links for your convenience. Read my full disclosure here. Sort your pile as quickly as possible by only making decisions using those three options. 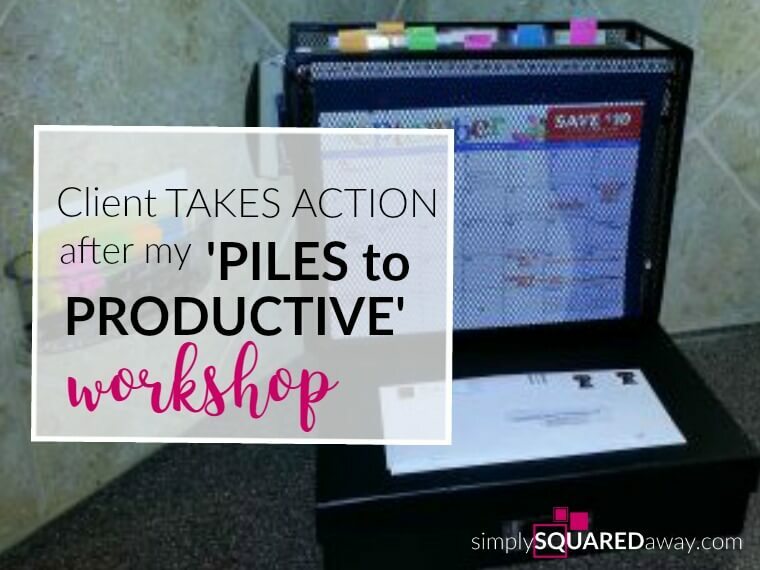 Then, move to the Keep – Action Required pile and take action. 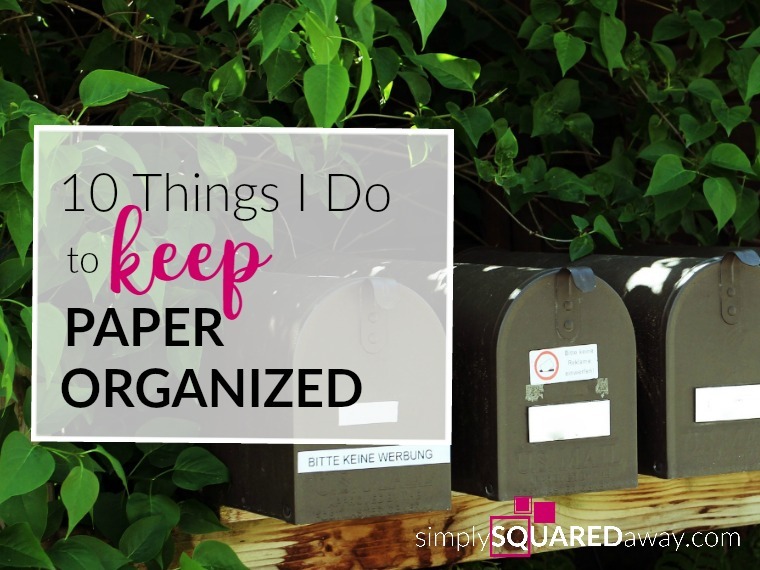 Lastly, file the papers in the Keep – To File pile. Place all that you haven’t used in the last 6 months in a box. Label the box “UTENSILS – Donate on _____.” Fill in with a date 6 months from today. 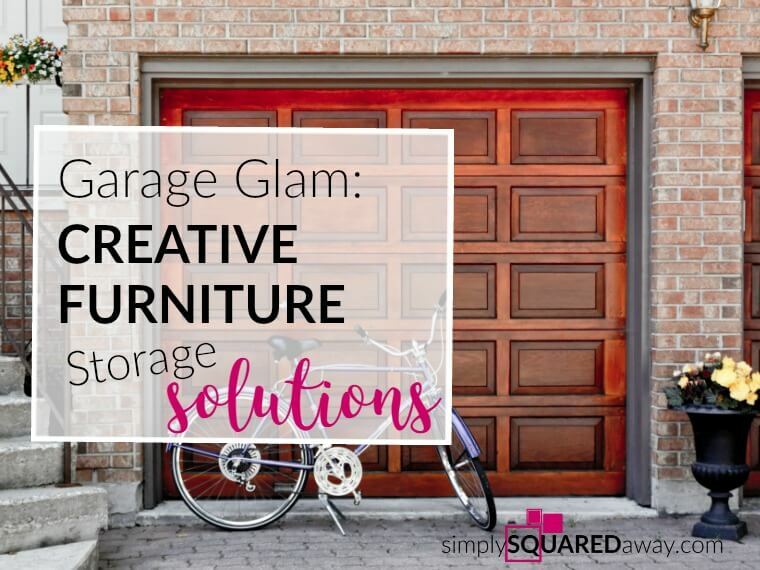 Place in your storage. If you miss something you can retrieve it from the box. If not, donate the box on the date it’s labeled. This is an exercise in letting go and living with less. I sorted the utensils I’ve used in the last 6 months into Spoons, Spatulas, Meat, Flippers and Other and used these drawer dividers to separate them in the drawer. Try the utensil example. Don’t make decisions about what clothing you’ll get rid of. Think of freeing up space in your closet so you can move and breath every morning when you get dressed. Ask yourself only one question: Have I worn this in the last six month? 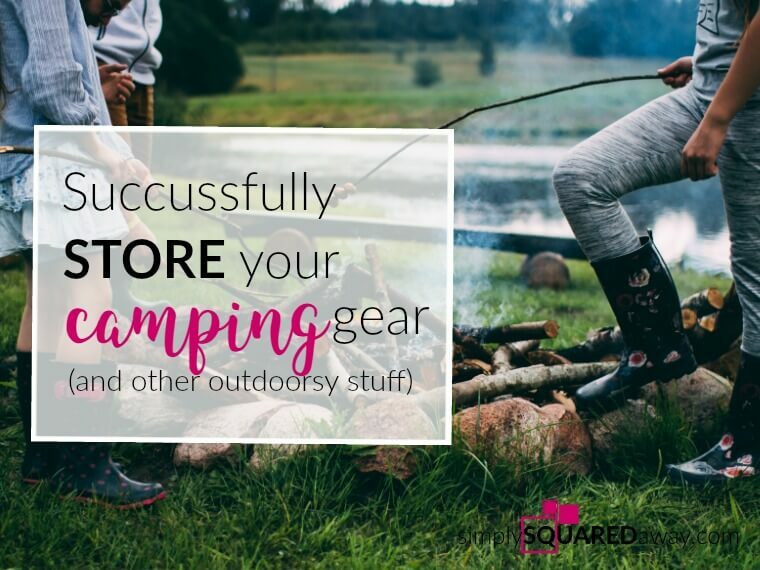 If not, store in a large trash bag or separate closet. Label “DONATE ON ____________” and give it a date 6 months from today. If you haven’t gone in the bag to retrieve anything over the next 6 months follow through and donate the items. Don’t even open the bag. Just donate it. Research suggests people might perform better during the day if they didn’t start their day by wracking their brains about what to wear. “Making decisions requires neurons to burn glucose, and when that fuel gets depleted, brains suffer decision fatigue that clouds thinking and makes it hard to concentrate,” said Daniel Levitin, a cognitive neuroscientist and author of “The Organized Mind: Thinking Straight in the Age of Information Overload.” Here is a case study for women and one for men. The best thing I ever did in this category was get a “uniform” to wear when organizing with clients. Other successful companies follow this create-fewer-decisions model: carry less items means customers make fewer decisions. Trader Joes and Aldi both use a less is more philosophy, selling approximately 4,000 items rather than other grocers 55,000 items. Less options = easier decision making. As you organize and go through items begin by creating the least possible options. Decision making will be less stressful.